[N/A Pattern] This Luxurious Afghan Is Easier Than You Think! Looking for something different? This pattern is amazing and a big hit! It looks sophisticated and like it’s a work of art. 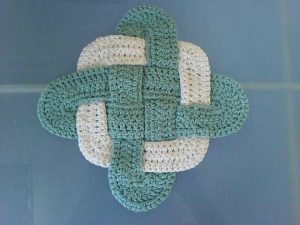 The truth is that the Weaved Hotpad by Kimberly Langlois is actually simpler than you may think! 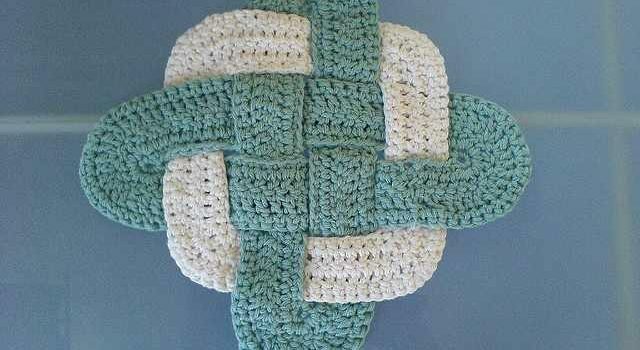 This Trivet hotpad is crocheted in 3 pieces and then weaved together. Perfect for using scraps, this pattern is also great for making special gifts as you can color coordinate with the recipient’s kitchen colors. Thanks to Kimberly Langlois for the article inspiration and featured image.